– Four 8 oz. Jersey beef patties, two 8 oz. mac ‘n’ cheese patties, onion rings, and pig candy bacon. 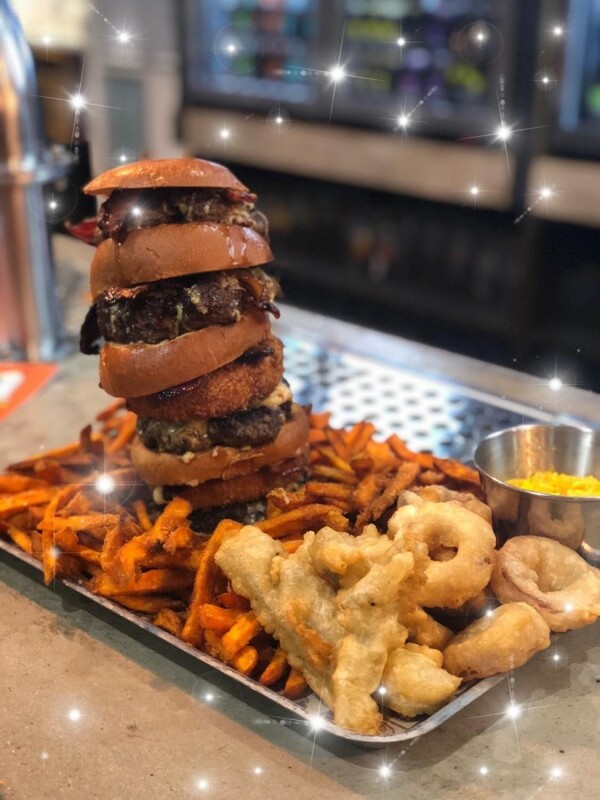 – Served with 1 lb of mixed BBQ fries and sweet potato fries, onion rings, and deep fried dill pickles. – There is a 30 minute time limit to finish everything.